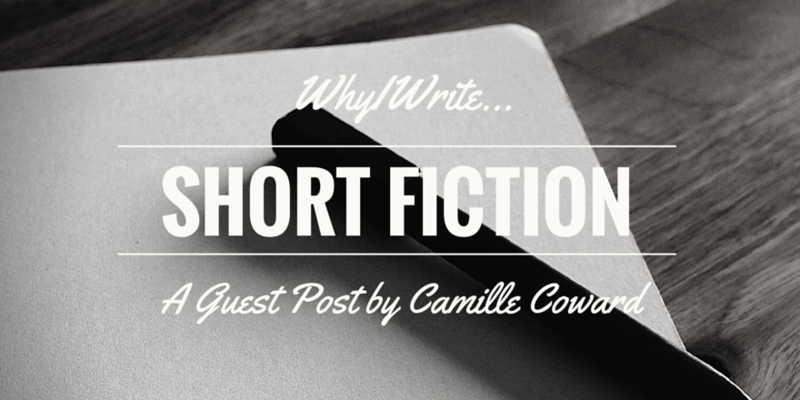 I started writing short fiction as a way to strengthen my writing. I found that it was challenging to pack a punch in as few words as possible, and this caused repetition when writing longer pieces–it was redundancy that neither reinforced nor enhanced the story–simply useless. After doing research on ways to master my writing, I saw a blog post that said writers often used short fiction to market themselves and their novels. It also listed the benefits of writing short fiction, with one of them being “finding a creative way to fit a complete story within a given limit”. So I gave myself a certain time period to start writing a short story series based on the novel that I was working on. In the space of four months, I had ten short stories–and they were the best pieces of work I have ever done. Since then I have been obsessed. Sure, I intend on doing novels and novellas, but short fiction is my drug of choice at the moment. In the novel, I was trying to include everything. That was just not possible. The short fiction series gave me the grounds on which to develop the world and the characters, and in a setting that was more suited to the story. Readers will be able to read the novel for the final action, and read the short stories to answer questions that would not drive the story line of the main novels. It also gave me a chance to toy around with the back stories of the characters, giving them more dimensions that I could play off of in the novel. Writing short fiction is fun. It’s my obsession and something I intend to continue. To that end, I have started a site to showcase my work. It’s in the beginning stages, but story by story, the series will develop, and over time hopefully I can build a strong following!